Temperature regulators There are 18 products. 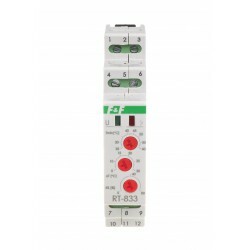 RT-824 temperature regulator is designed for direct control of heating devices fed by a voltage of 230V, maximum current of less than 16A. Weekly programmer. 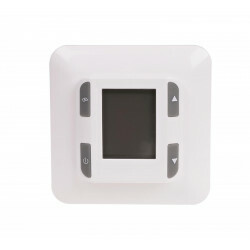 Temperature range: 5÷60ºC. 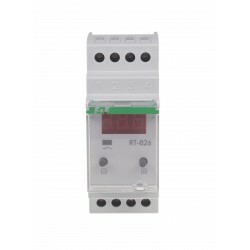 RT-825 temperature regulator is designed for direct control of heating devices fed by a voltage of 230V, maximum current of less than 16A. For general use. Temperature range 4÷30 °C. 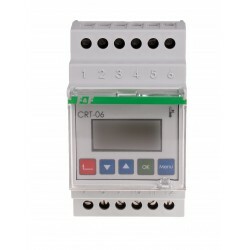 Temperature regulators may be used for equipment control in anti-freeze systems which prevent the freezing of gutters, the accumulation of ice on stairs, vehicles, etc. For general use. Temperature range -4÷5 °C. For general use. Temperature range 30÷60 °C. For general use. Temperature range 60÷95 °C. 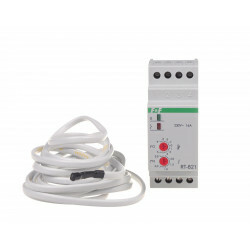 The temperature controller is used to control heating and ventilation equipment to maintain a constant temperature. 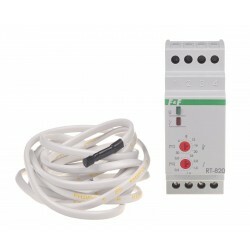 Temeprature regulator with adjustable fan speed. 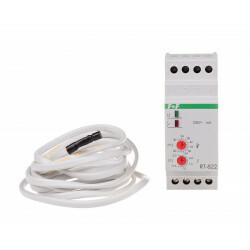 The regulator is designed for direct control of 12/24 V DC fan speed in the control panels (or similar installations) as a function of temperature. 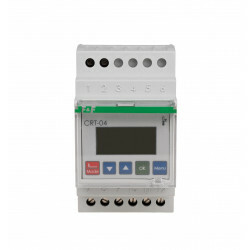 The CRT controllers are multi-function, programmable electronic devices which enable control of heating or cooling devices in order to maintain a stable room temperature, as well as to control ambient and substance temperatures in industrial conditions, with the option of supervising technological processes. 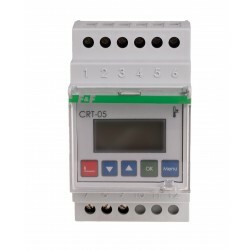 CRT-05 is programmable electronic multi-regulator, enabling heating control devices in order to maintain a constant room temperature, ambient temperature control and temperature of the substance in terms of the possibility of industrial process control technology. 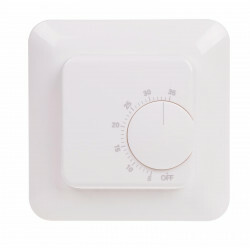 Temperature regulator. 10-funcions. Temperature range -100÷400 ºC. 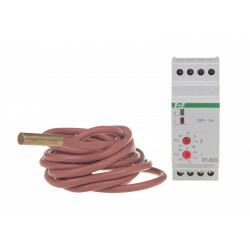 The controller responds to a selected function on the basis of individual entries concerning parameters like temperature, hysteresis, response delay, and other values preset by the user. PID type. Temperature range: 0÷400ºC. 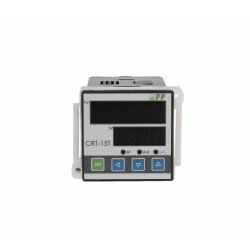 CRT-15T is a digital temperature controller adapted to adjust the temperature by turning on and off the receiver connected to the transmitter output controller.